Earthquakes can happen ANYWHERE. Just because an earthquake hasn't happened in memory in your area doesn't mean one won't happen tomorrow so you need to know as much as you can about earthquakes. Watch this episode of Surviving Disaster--Earthquake to get an idea of what you will be up against after an earthquake. Check out all of the links on the USGS' earthquake preparedness webpage. During an earthquake, drop, cover, and hold. After an earthquake, your top priorities will be: getting out of the building you are in when it is safe to do so, turning off the gas/water/and electricity to your home, checking to see if everyone else was able to escape from your home/building and checking for injuries. Immediate needs after an earthquake: water, food, medicine, blankets and camping gear (you will be camping outside until the aftershocks stop or maybe longer if you can no longer stay in your home. Do you know where your local community shelters are located? You may end up staying at a shelter if you can not stay in your home--if the pre-designated shelters are even still standing. Always keep your cell phone charged. Local cell towers may or may not be working. If you can't get a call out, try a text message. Land line phones may or may not be working. A phone plugged into the phone jack (one that does not need to also be plugged into the electrical outlet) may still work even when the power is out. First aid skills are a must for everyone in your family/office. You may be injured and others may need to tend to you, or a family member may be injured and you may need to tend to them. Make sure everyone has been trained in basic first aid. Hospitals may be overwhelmed or no longer standing so receiving immediate medical attention may be impossible. This is why it is a good idea to have a first aid kit at home, in your car, in your office, etc. This situation also reemphasizes the need for a BOB (Bug Out Bag). I keep mine in the garage, near the garage door, in a cabinet. If it is kept in a closet in the interior of my home and my home collapses, I won't be able to get my BOB. If the house and garage collapse, I will have a better chance of digging it out of the tumbled down garage. Tools kept in the garage or shed/detached workshop will also be easier to access this way too. Keep your vaccinations up to date. You may cut yourself during the earthquake and getting a tetanus shot will be the last thing on anyone's priority list (this is not good for you). Always keep an adequate supply of necessary medications on hand. Pharmacies are often the first places looted during these types of disasters and most clinics/hospitals keep only a few day's worth of medications in stock (this is a few day's worth under normal conditions, not disaster conditions when many, many people may need heart/diabetes/etc. medications). Check out the FEMA earthquake page here. Don't expect outside aid to come for a while. We are 24+ hours into this earthquake in Haiti and little if any aid has actually been distributed to people who where impacted by the earthquake. Here is another good earthquake resource from the LA Fire Department (these people know earthquakes). Consider having a motorcycle or bicycle on hand. Most roads, especially those which connect by bridges/overpasses/underpasses will be impassable in your vehicle. However, it is still a good idea to keep your vehicle in good working order and with a full tank of gas (or have extra gas stored in a shed) in case you are able to drive away from the damage. Be sure to listen to your battery operated radio after an earthquake. News will include local shelters, Red Cross locations, etc. If you are a HAM radio operator and have a HAM radio with power (a hand-held unit powered by batteries or another power source for a larger radio system or a radio powered by your car) you will be able to communicate with others. Check out the CDC's earthquake website. Yes the information will be redundant but that's good, you need to memorize and internalize this information so during a disaster, your response will be automatic. Note that the infrastructure that is usually there to help you may be severely damaged or no longer existing. Hospitals, police departments, fire stations, airports, military bases...the places people would usually go for help probably won't be able to help you. Their buildings may be severely damaged, their staff may have all been injured or killed in the quake, the airport and military bases may be locked down so as to facilitate rescue operations...you get the picture. A note on security. During a disaster, people become desperate. Looters my be out and about, desperate people may be rummaging through pharmacies for medicine, people may see that you have food and water and want to take it from you. You will need to protect yourself (preferably by banding together with family, friends, or neighbors) from people who may want to cause you harm. Some other good things to keep in your garage/shed/outbuilding: a fire extinguisher, work gloves, tools, eye protection, fuel for your car, etc. You may need to deal with bodies. Dead bodies. There is a system that will kick in after a major disaster to process bodies. Depending on the type and extensiveness of the disaster, it may take a while for this process to begin. You don't need to bury bodies immediately (contrary to popular opinion, dead bodies don't spread disease unless they died from smallpox or something equally contagious). If you are faced with a number of bodies, you may want to store them at a central location wrapped in a sheet or plastic wrap, preferably with some sort of ID attached. Work with your neighbors. These are the people who will be there immediately to help you after a disaster and vice versa so making a plan, practicing skills, and working together prior to a disaster will pay dividends after a disaster strikes your area. Volunteer. Search and Rescue, Doctors Without Borders, Red Cross, FEMA, Medical Teams International, and many other organizations send volunteers to help out after a disaster. Other than actually being is a disaster, this is the only way you are going to get first hand experience and training for dealing with such disasters. All of the books, TV programs, drills, and exercises will not teach you what it is really like to experience an actual earthquake or other disaster. Donate to those who have been impacted by a disaster. Whether you send cash, food, clothing, medicine, or other basic needs, this is just one of those good karma things. Check your vacation and travel plans. Some places are more prone to quakes than others. While you can't predict where earthquakes will strike, know that areas that have recently experienced an earthquake my have limited infrastructure and resources, cancelled flights, and may still be experiencing after shocks. Check out this USGS page for current earthquake activity. Here's an interesting earthquake prediction website not connected to the feds. SyzygyJob. When seeking (or if you are able to provide) information on current earthquakes or other disasters, consider all possible sources (websites, Twitter, FaceBook, MySpace, email, phone, satellite phone, news station contact info, Flickr, YouTube, etc.). Help your loved ones prepare for an earthquake or other disaster. You may need to make extra efforts to help those who would not be able to help themselves: the elderly, the chronically ill, the physically disabled, the mentally ill, those who can't communicate (ie: blind, deaf, non-English speakers), etc. Have cash on hand. You probably won't be able to use it in your devastated area, however if you are able to be evacuated to another city, you can set yourself up in a hotel or buy a meal or buy a phonecard so that you can call family. 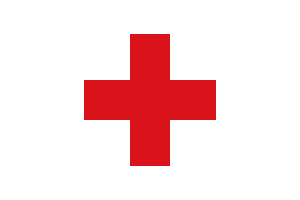 The Red Cross in very useful during a disaster, Through the Red Cross, you can donate blood, donate money to help disaster victims, find first aid and other training courses, volunteer to help, connect with family members who may have been displaced during a disaster, etc. Connect with your local Department of Emergency Management. Some cities, most counties, and all states have these agencies which can provide useful and area specific disaster assistance and information. I have signed up for the emergency alerting program with our county emergency management organization; by doing this I get alerts and warnings sent to my email, my cell phone, and in an emergency, via a recording that calls my home phone. Check out this emergency preparedness checklist. Other such lists can be found by Googling emergency preparedness checklist. Here's another good checklist for those with special needs. Don't forget your business during a disaster. Does your business have a disaster recovery/disaster continuity plan? Don't forget your animals during a disaster. Here's a good resource to start planning for your pets and other animals. Develop a communications plan before disaster strikes. This includes having a distantly located relative or friend that you can contact after a disaster so that they can tell everyone else you are OK since you want to conserve your cell phone's battery and not tie up phone lines in a disaster area needlessly. If you want to see what it is really like to not be able to communicate with the outside world, make it a no TV, no radio, no phone, no cell phone, no computer weekend. You will quickly see that with no communication you will be bored (for starters) and that you will be isolated (very). Keep a flashlight, pair of shoes, and work gloves under your bed. This is the minimum you need to escape your home after a disaster. Of course you will want your cell phone, wallet, jump drive with all computer files and personal information backed up, pocket knife, and cash within arms length as well. Consider stocking some PPEs (personal protection equipment). Right after an earthquake or many other disasters, there is usually a lot of dust and particulate matter in the air. It is a good idea to wear a mask at these times because you don't want to breathe that stuff in. If you are caring for someone who is bleeding, you may want to wear gloves. There are some parts of the globe where AIDs and other blood/bodily fluid-borne pathogens are so prevalent, you certainly don't want to catch any of these deadly diseases. Some stuff you will need to do after the disaster: file a home/car insurance claim, apply for FEMA and other community aid, clean up, rebuild and repair...actually the list is long. Here is a general overview from Oregon, your state may have a slightly different process. After the dust has settled (no pun intended), pay attention to mental health issues. Mental health problems (depression, sleeplessness, PTSD, etc) usually show up after things start to calm down. Seek professional help if needed. Don't fall for scams. Right after a disaster, scammers will come out of the woodwork. Whether it is online scams seeking donations for the relief effort or people showing up after the disaster and price gouging or promising work then running of with your money, make sure to be aware that this kind of stuff can happen. Finally, do you have earthquake insurance? Many policies require a separate rider for earthquake coverage. Don't assume you have this type of insurance (or flood insurance, etc), check to be sure.